The album emulates their rough lifestyle and captures that rugged, raw, New York rap. “We’re telling people to embrace flaws, appreciate themselves, and to accept the fact that there’s nothing wrong with living rugged,” the pair explains. 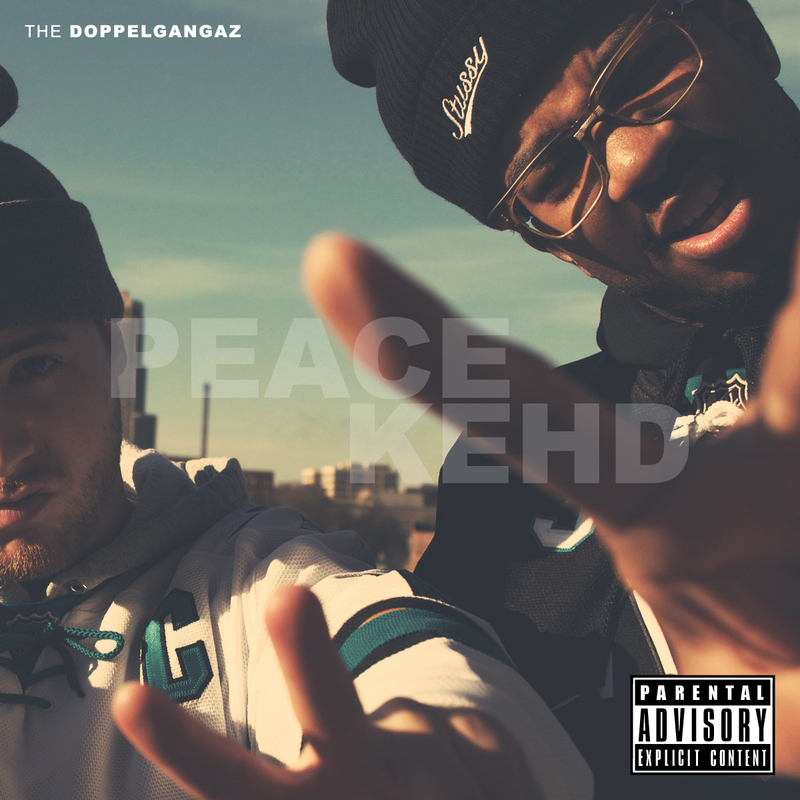 The Doppelgangaz have always taken pride in working on everything independently, and it seems that the two have created another work to show that you don’t need a vast amount of resources to make an incredible rap album. Peace Kehd is destined to encounter success; it’s predecessor, 2013’s HARK, was named the #2 NY Hip-Hop Album by the Village Voice. Entering 2014, The Doppelgangaz have turned their experiences into an eleven-track long story, and they’re ready to tell it to the world. The Doppelgangaz, comprised of rapper/producers Matter Ov Fact and EP, are a standard bearer for the New York hip-hop scene. Through the duo’s own label, Groggy Pack Entertainment, The Doppelgangaz have dropped a string of EP releases as well as instrumental projects. Its after these releases that the duo saw their biggest success – the Doppelgangaz have over one million YouTube channel views; they reached number one on HHV’s Top 100 list, Europe’s top vinyl retailer – and they’ve done it all independently. They wrapped up a European tour supporting their album Hark, released last year, and are now ready to release their newest full-length project Peace Kehd, which drops February 18.